I'm always searching for ways to up my skincare game. Sometimes the phrase "you get what you paid for" rings so true, and sometimes it's doesn't matter at all. Is this something you've found while trying to get a routine going? 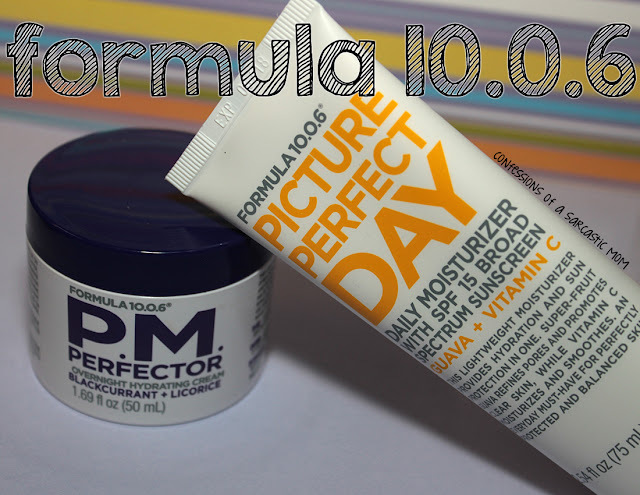 Well, let me tell you about this Formula 10.0.06 skincare I've stumbled across - Picture Perfect Day and P.M. Perfector. This is a new-to-me brand, and I took a chance... because the price tags is just right! This is the Picture Perfect Day daily moisturizer. I have used it every morning for 2 months. I will be honest here. I've not noticed an overt change in my skin. However, my skin has felt (to the touch) hydrated all day. 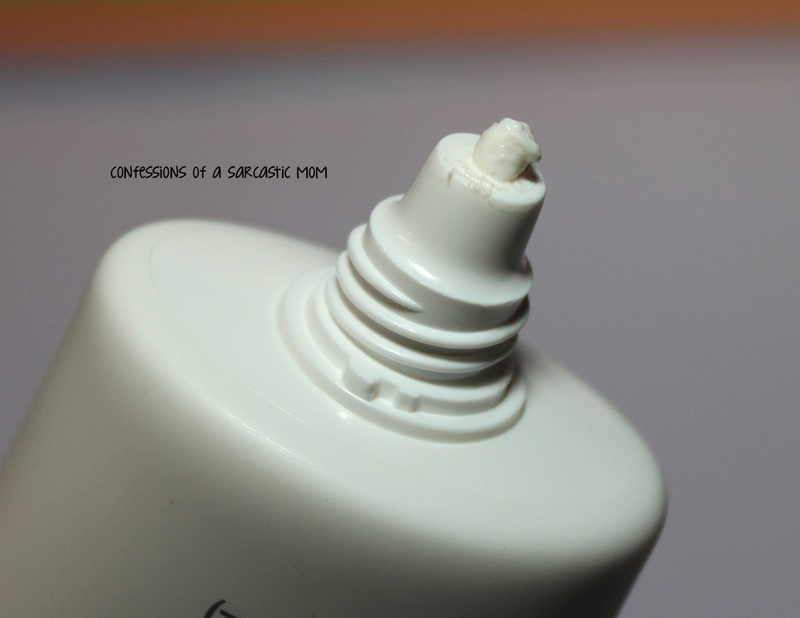 My skin never feels dried out or greasy. Plus? The scent - whoa. I am seriously in love with it. It says the scent is guava, and if that's what guava smells like, I'm a fan! 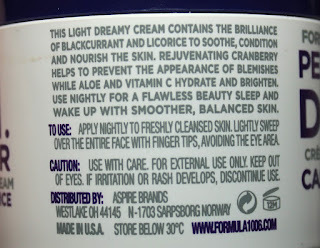 I'm also a fan of the spf 15. 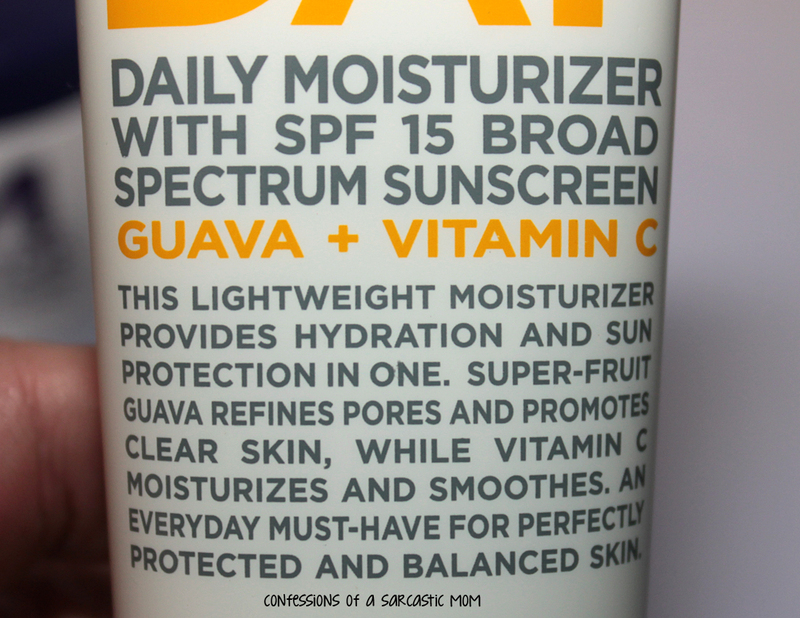 I am really glad I've been able to include spf in my daily routine. I don't leave the house without this stuff on my face. One thing to take note of: It may seem like this stuff is not lightweight. The consistency is thick. Kind of like a sunscreen. It does soak in very quickly, tho. I purchased mine from Ulta for $6.99. Ingredients: Water, Octocrylene, Glycerin, Ethylhexyl, Salicylate, Dimethicone, Butyl Methoxydibenzoylmethane, Ceteth-20, Triacontanyl PVP, Sorbitan Stearate, Phenoxyethanol, Methylparaben, Propylparaben, Butylparaben, Isobutylparaben, Ethylparaben, Triethanolamine, Carbomer, Sodium PCA, Chamomilla Recutita Flower Extract, Psidium Guajava Fruit Extract, Sodium Ascorbyl Phosphate, Fragrance, Disodium EDTA, Xanthan Gum. ...and as for the P.M. Perfector. 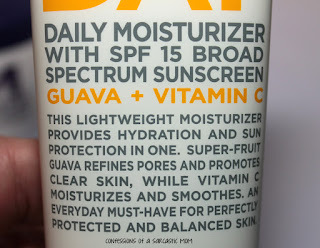 I'm not really fond of the smell like I am the daily moisturizer, but I know my skin is getting what it needs. 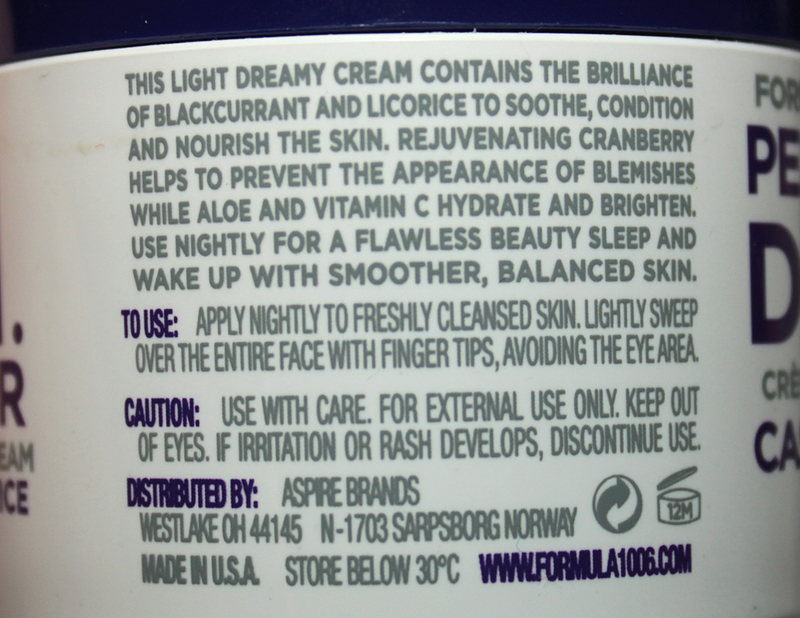 The scent is a combo, I guess, of cranberry, licorice and black currant. It doesn't feel icky or sticky when I get up in the morning, and I've not had many breakouts since I started using this. Honestly, I think the combo of these two products has helped my skin, but not in a way that can be seen with the naked eye. I purchased mine from Ulta for $8.99. 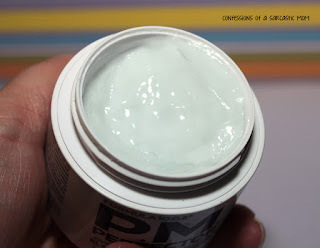 Ingredients: water/eau, caprylic/capric triglyceride, cetearyl alcohol, isopropyl myristate, glyceryl stearate se, cetyl phosphate, cyclopentasiloxane, cyclohexasiloxane, aloe barbadensis leaf juice, betaine, silica silylate, talc, phenoxyethanol, vaccinium macrocarpon (cranberry) fruit extract, ribes nigrum (black currant) fruit extract, glycyrrhiza glabra (licorice) root extract, sodium ascorbyl phosphate, caprylyl glycol, glycerin, fragrance/parfum, salicylic acid, disodium edta, xanthan gum, sodium hydroxide, potassium hydroxide, citronellol, geraniol, hexyl cinnamal, limonene, blue 1 (ci 42090), red 33 (ci 17200).